Recently I was helping one of my sisters to solve a problem in her laptop over Skype, while explaining we were facing difficulties as I wasn’t sure that what I was trying to say is doing that correctly or not, so in mid way I asked her to open TeamViewer so that I can see what exactly she was doing. Instead of using TeamViewer she told me that she will show me her screen in Skype. I asked her how it is possible then she told that there is an option in Skype by which we can share screen also about which I never knew. 🙁 Then she turned that on that screen sharing option so that I can see her screen and guide her more perfectly. 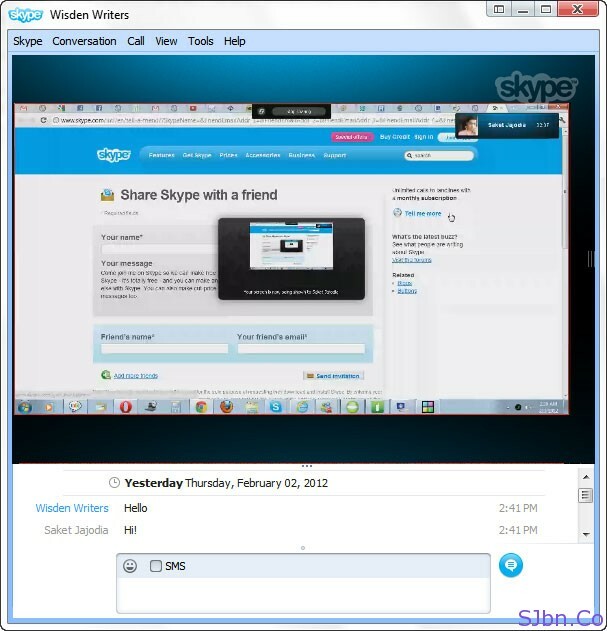 So to share your screen on Skype, click on contact person’s name with whom you want to share your screen, now click on plus sign (+) somewhere at middle of the chat box click on it, then select Show My Desktop option, after selecting Show My Desktop it will ask you to call that person because without calling you won’t able to share your screen with that person. After your work is over simply cut the call or click on Stop Sharing button on top of your screen, this only stop screen sharing but won’t cut the call. I found this feature very handy as in case if I just need to see someone else screen instead of remote access, I don’t have to use separate software or any app. And we will also able to share screen with multiple people at a time. Thanks to my sister for this tip.